Paper based work sheets will soon be a thing of the past with iManage. Why go through all the stress and frustration of customers ‘losing’ job sheets when it comes to paying their invoices, unintelligible scrawling from a colleague or employee, arguments on how long you were there for or if the job got done at all? 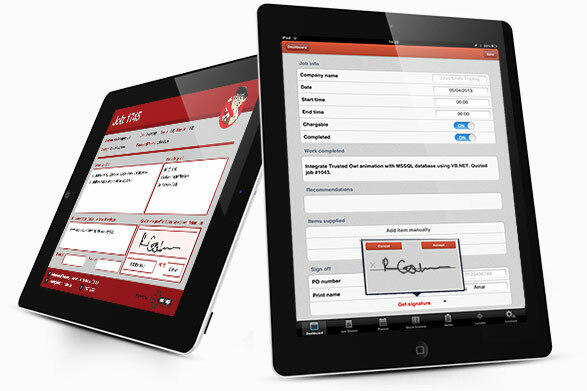 One of the core features, and the foundation of iManage, is the Mobile Job Sheets functionality. Back in the early days of developing iManage, the idea was a simple job sheet app that engineers could fill out, and once saved and sent off, it would automatically generate a PDF and email it to the desired contact. iManage has moved on and expanded on that in every way, with many more features and possibilities. iManage – Quote, Job Sheet, Invoice, Track, Plan. The Standard iManage Package often works out to be cheaper per month than the old paper-based methods. Imagine not having to buy all that paper and all those pens!